I. First cycle. Undergraduate studies consist in the Laurea Triennale - CL (1st cycle degree courses) aimed at providing undergraduate students with an adequate command of general scientific principles and mastery of methods as well as specific professional skills. The general access requirement is the Italian school leaving qualification (Diploma di Superamento dell'Esame di Stato conclusivo dei corsi di Istruzione Secondaria Superiore), awarded on passing the relevant state examinations, after completion of 13 years of schooling; comparable foreign qualifications may also be accepted. Admission to individual degree courses may be subject to specific course requirements. First cycle degree courses last 3 years. The Corso di Laurea Triennale-CL (1st cycle degree) is awarded to undergraduates who have earned 180 credits. Investing in education is still the most important step we can take for our own and future generations in order to improve our lives and our employment opportunities. In fact economic studies show that graduates earn more than those who do not have a degree, and that they also find work more easily . However, studying is not only a reliable guarantee for the future. It is, above all, a possibility to enhance our skills, cultivate our own interests, grow culturally and intellectually and, therefore, be able to improve our opportunities in the global market place. Our students are offered unique opportunities such as: highly qualified and young teaching staff, who are involved in continuous updating and who interact closely with the students; modern and fully equipped laboratories; opportunities for practical activities at national and international level thanks to numerous collaborations within and outside Europe. Sciences boasts a consolidated experience in providing the students with opportunities to carry out practical activities, from the study of the oceans to the hinterland, field trips, participation in oceanographic campaigns, diving, as well as monitoring of inland waters. Numerous scientific expeditions to the Antarctic seas and glaciers or to earthquake-hit areas are carried out annually, in collaboration with laboratories abroad. Great attention is paid to the quality of studies and the training of the students, allowing our graduates to achieve their qualification quickly and providing them with an excellent basic knowledge which is appreciated not only within Italy, but also internationally. Finally, it is important to emphasize that the students of Sciences at the Università Politecnica delle Marche are offered a full educational package from first to third level degree courses, including several national and international Master’s programs. All this leads to a complete and competitive education that makes entry into the world of work increasingly easy. 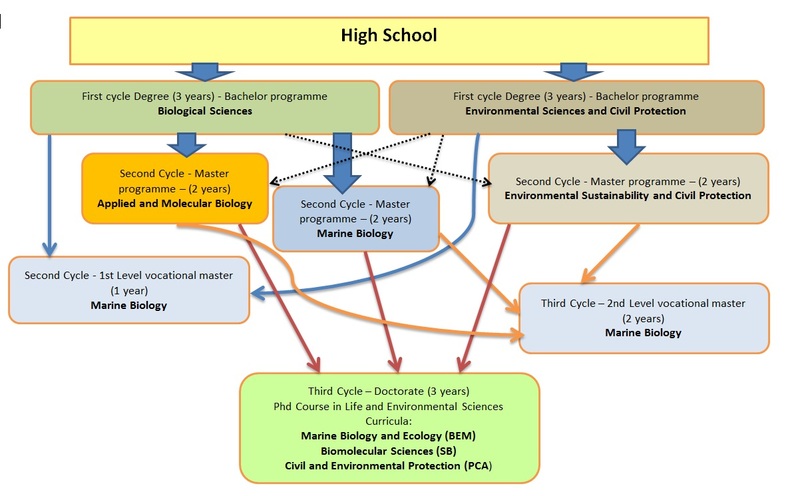 However, the contribution of the Department of Sciences to the training of students at the Università Politecnica delle Marche is not only evident through its national rankings and international reputation. The level of appreciation is also confirmed by the growing number of students enrolled on our courses, which is extremely gratifying and encourages our constant commitment to the improvement of university education. We are proud to say that our efforts are appreciated not only by our students but also by the scientific community as a whole. We look forward to meeting you soon as our students, and in the meanwhile ENJOY YOUR LEARNING EXPERIENCE!